I just felt the urge to start singing; “My boy lollipop. You make my heart go giddy up!” And why not? With much-needed rain arriving last night and continuing into most of today, it was necessary to delve into my archives. 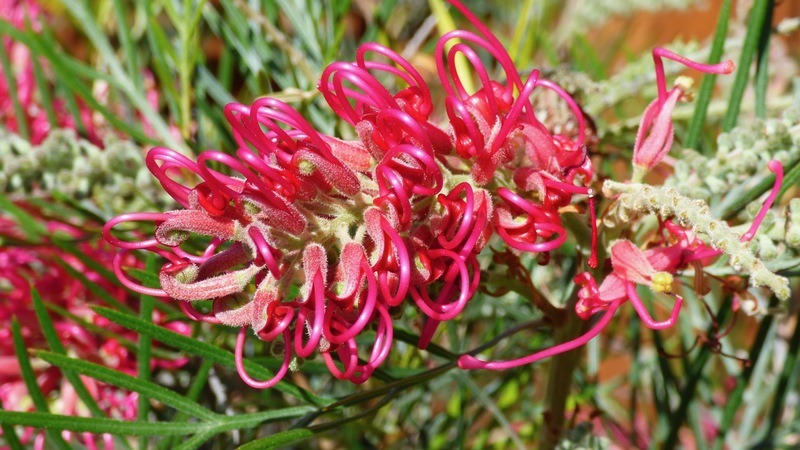 I took this photo of my Grevillea ‘Lollipop’ back in July and I’m still singing: “You are as sweet as candy, You’re my sugar dandy.” This is the promised photo from my Grevillea post yesterday and my next entry in Becky’s In the Pink Square in September photo challenge. But I do have to share the entire photo and not just a portion of it. 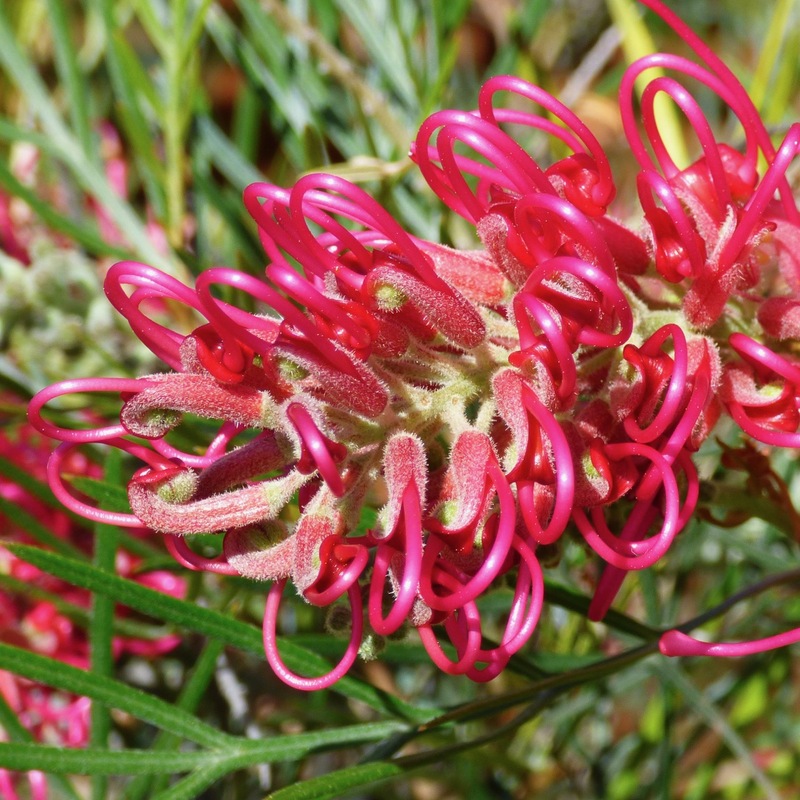 If you’d like to see photos of all my Grevilleas, just pop over to How to Catch a Bee, you’ll see this photo and lots more. Thank you Becky. What a day indeed.